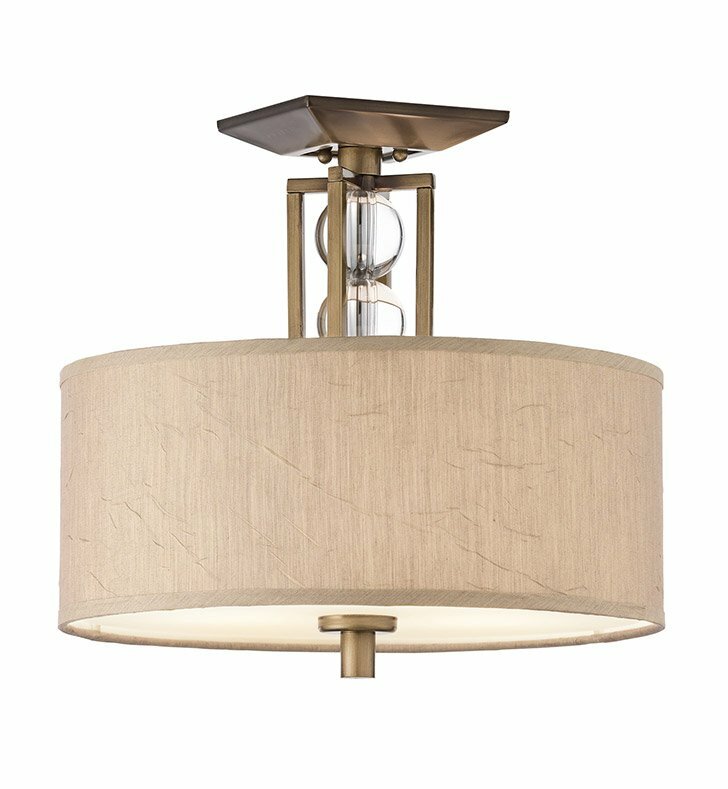 Questions about Kichler Lighting 42193CMZ? Finishing touches abound on this 3 light semi flush ceiling mount with a Cambridge Bronze finish from the Celestial collection. Stylish fabric shades feature a "crinkled" effect and rest on a tasteful Umber Etched Glass Diffuser that simulates true highlights and shadows with a gradated umber tone. Crystal sphere accents form the center column, and faux marble finials elegantly drape to complete this distinctive look. Dimensions: H 13 3/4" x W 15"